Highly sought after location with the heaviest foot traffic in downtown Wheaton. 3640 SF with existing Restaurant and Bar improvements. Includes 700 SF Basement area. Some improvements (all 'as is') include 2 main floor baths, bar, booths, mop room, bus area, kitchen, finished basement with bathroom and office. Two walk in Freezers, vent fans, dishwasher, multiple style sinks, lighting and all other leasehold improvements. 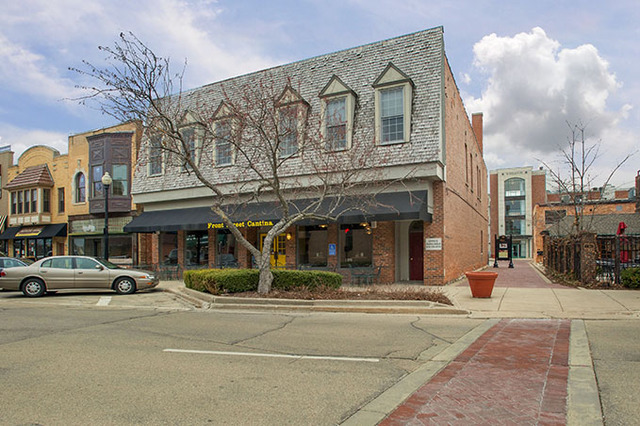 ALSO available for consideration in the rent is a 52 x 54' asphalt parking lot directly behind the Restaurant ONLY if tenant improves as an outdoor seating area. That area is 15' away from the Free Parking Garage with 400 spots. This property sides to the brick walkway/alley that takes you to downtown. See Survey under additional docs. City allows outside sidewalk seating to current establishment. Best Location in Downtown Wheaton on Restaurant Alley. 2 blocks from the Metra station. BROKER IS NOT SELLING THE BUSINESS, JUST RENTING THIS GREAT BUILDING.